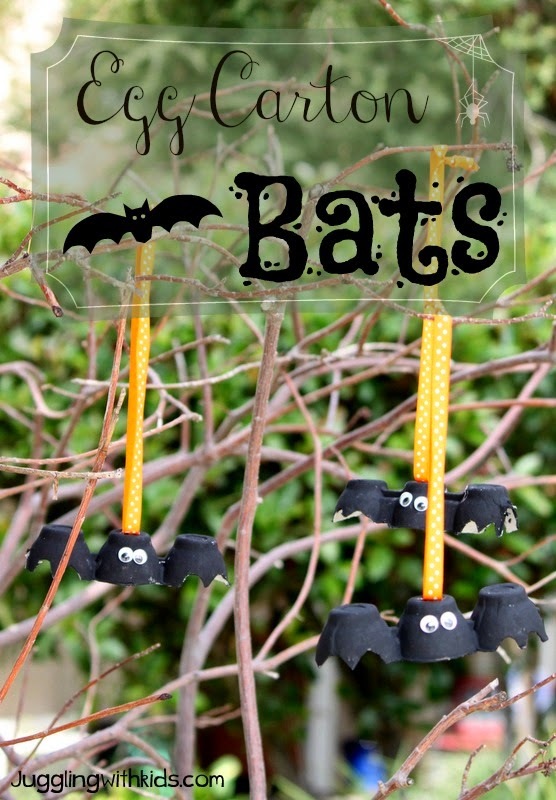 I saw these cute bats on Happy Clippings and knew I just had to make some for Halloween. She posted some adorable ghosts too, but I didn’t have time to go out and buy some leaves. You should definitely check her blog out! First cut out three cups from an egg carton. Then cut the bottoms of the two outside cups to resemble bat wings. 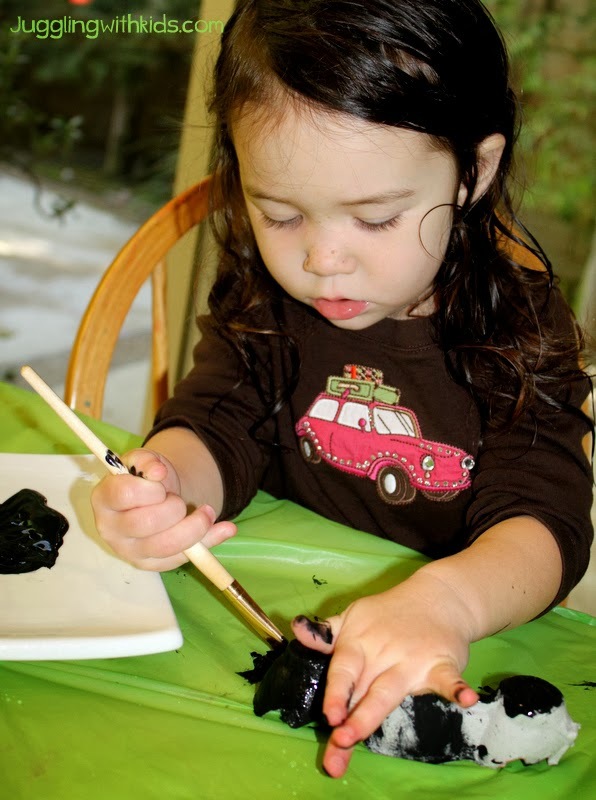 Paint the egg carton with black paint. After the paint is completely dry, glue two googly eyes onto the middle cup. Then attach ribbon to the top of the middle cup and hang. (I used a glue gun to attach the ribbon). 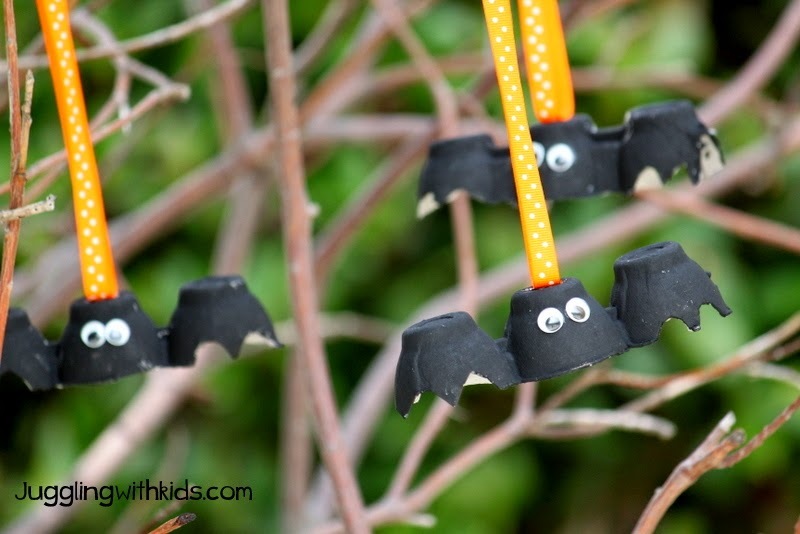 The bats look so spooky in our tree! These are so cute! I love how they look on your spooky tree.